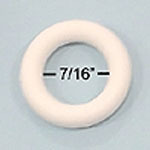 Small rubber ring, 7/16-inch ID. 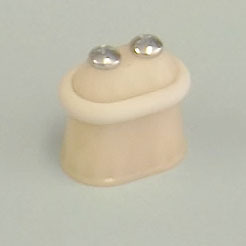 Used on mushroom bumpers on older Bally games, siamese posts on some Gottlieb games, and between short-span narrow posts on some later Bally and Williams games. Replaces old Bally # R-392, Williams #s 23-6559 & 23A-6559, Gottlieb # A-17493, Data East, Sega, new Stern # 545-5025-03.